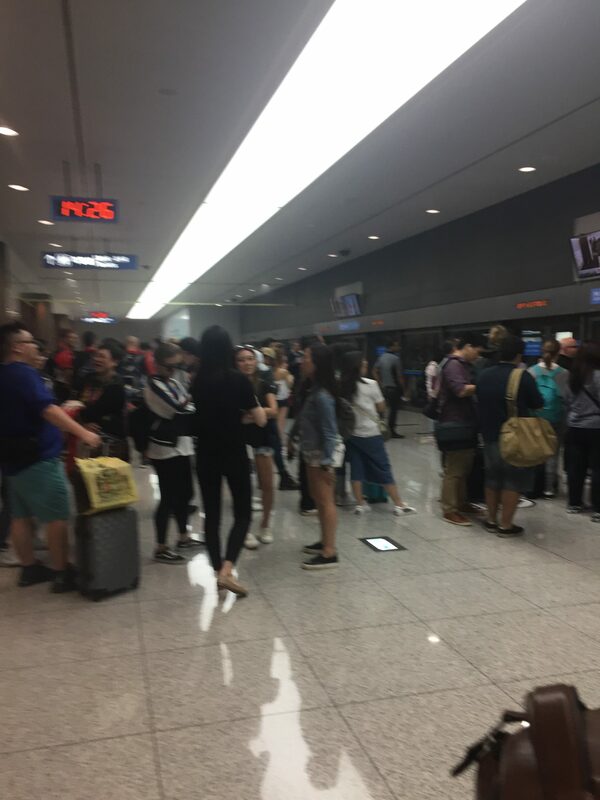 "surprised by the long queue"
✅ Trip Verified | I travelled to Korea using Incheon Airport last December. I was surprised by the long queue at the immigration during my arrival and departure. I was also surprised with the long security and immigration queues during my departure. Again, I was very surprised that there was no Halal food at the airport! The toilets were also not very clean and the terminal was very crowded with not enough seats provided. "staff here are utterly rude"
✅ Trip Verified | No bad comment on the airport facility as it is new and modern. However the staff here are utterly rude, ignorant. This is totally not a language barrier issue but from their attitude. Maybe the weather is too cold here. ✅ Trip Verified | It's our first time in Korea and we landed at Incheon airport. No wonder it's as beautiful and clean as Singapore Changi, it's the 2nd best airport in the world! ✅ Trip Verified | This is an extremely nice, new, clean, and sophisticated airport, was very impressed, however for anybody who intends to transit through, you just need to know a few things: A lot of the staff are not fluent in English, it seems that I was not fully understood wherever I went. For example, I was looking for the rest areas, and after checking out through customs I was eventually told that this was airside. A shame really, because I had to spend over eight hours there. Despite this, there is lots to do, and lots to see. People in general are very, very polite. Food was good with a great choice of eateries, and airport is kept very tidy and clean. Transit through customs was a little slow however. Shame about the confusion. "whole terminal is like a ghost town"
❌ Not Verified | I was very surprised to learn that all the shops inside the departure hall in this terminal closed at 9.30pm. The whole terminal is like a ghost town after 9.30pm. Even the tax refund closes at 9.30pm. These leave a very bad image for such a new airport. I prefer and will try my best to travel out from Terminal 1. "Terminal 1 has a better variety of stores"
✅ Trip Verified | I had a few experiences in the original ICN terminal. 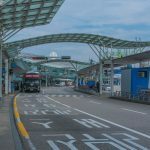 My last transit in ICN, I got to try ICN Terminal 2 on my return flight. My travel group main objective was to get a good shower in the airport after getting around Seoul during our layover. We were amused that towels and basic toiletries were not provided unlike the original terminal which even includes a disposable toothbrush. There was a small fee of 2K won / towel, 4K for basic toiletries. We would have prep ourselves to have these ready instead of check in. About 30% of the stores were not opened yet. I believe Terminal 1 has a better variety of stores even with all stores open and running in Terminal 2. 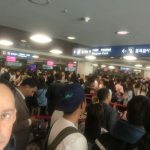 "more interested in image than substance"
✅ Trip Verified | I felt that I wanted to review Incheon Airport now having lived in Korea for ten years and having used the airport many many times. But the experience this last weekend, the week before they will host the winter Olympics, was completely unacceptable. 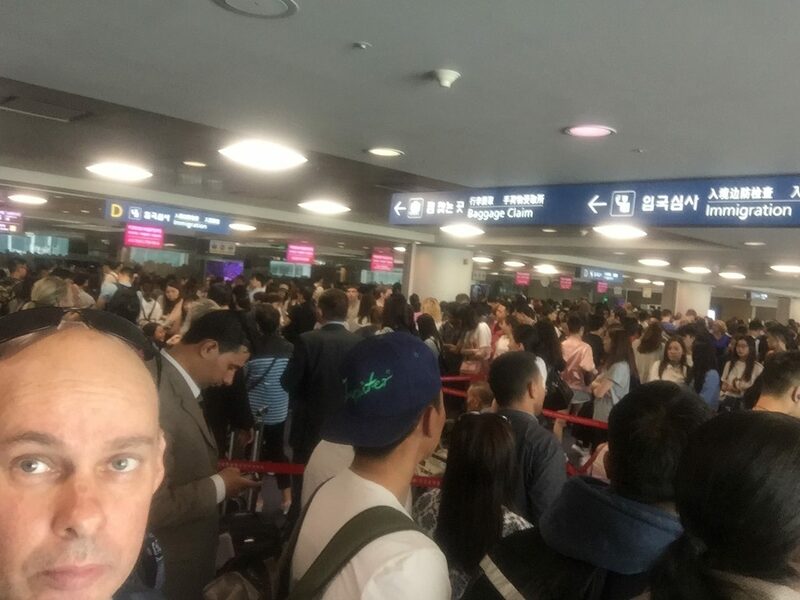 Even departing from Incheon airport three weeks earlier to fly to Manchester via Helsinki, the security line is getting ridiculous now. 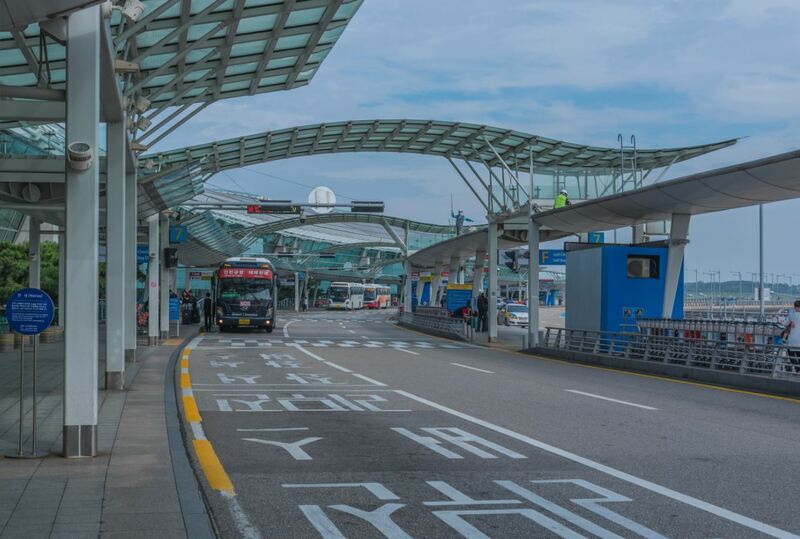 Incheon has always prided itself on its placing in the top three airports in the world, but there are parts of it that are seriously undermining its position. What has triggered me to write this now was the wait at the passport checking. There was a wait for an hour, with only three staff checking about 400 or 500 passengers on a Saturday about midday. There were 'supervisors' but they seemed to be more interested in getting through the Olympic athletes who had a separate line with five staff checking passports. Obviously, there were not that many athletes, 30 or 40 at most. You need to react to passengers waiting, these are the ones who write these reviews. What made things worse for me, bar the fact I'd flown for 14 hours, and then waited an hour for the passport check was that my suitcases came out of carousel 21 near exit F. As I approached the carousel, I was asked by an airport official if I was an athlete, to which I said 'no', 'oh you can't use this exit, it's only for athletes'. I wasn't using the exit, I was going to the carousel to get my cases, I had no interest in using exit F. Again, and having lived in Korea for ten years, they are more interested in image than substance. I hope the Olympics is a success, but you have to remember the other passengers if you want to be considered in the world's top airports. Staffing should never be an issue. Secondly, and this happens a lot when I travel through the airport is their lack of special diet food. 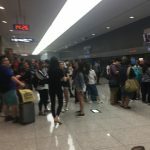 I've been a vegetarian for nearly thirty-years and living in Korea, I know of their obsession with meat and fish, but as an international airport, you have to cater for special diets which they continually don't do. Both in departures, convenience stores and airside there are no options which is ridiculous. My trip involved 8 flights, mostly around Europe, all of which had a number of special diet options in those airports. Not at Incheon though. I write each time I fly through there about it in their feedback section and get the usual, 'We're looking into it' reply back. "airport is not serving hot water"
✅ Trip Verified | No issues with cleanliness and friendliness of people working at the Terminal 2 of ICN only that I'm super disgusted of the rule that this airport is not serving hot water. I can definately understand if I can be explained why but none of the staffs can explain. Every restaurant has a sign saying no serving of hot water! Other than that, ICN airport is close to perfect. "crowded at both landside and airside"
✅ Trip Verified | The airport is crowded at both landside and airside. There are some queueing at the customs, but acceptable. On the airside, there are tons of duty free shops selling cosmetic products and luxury goods at competitive price. The tax refund process is easy and smooth. However, on the airside, the map does not show where the tax refund area is, weird. The lighting on the secondary terminal (used by foreign airlines, not KE/OZ) is significantly dimmer than the main terminal( which serves mainly KE/OZ flights), a bit weird. At the gate, the monitor showing the flight number and boarding status is quite dim, not easy for reading the content. But generally, the lighting, signs, seating are pretty good. "workers are also very friendly"
❎ Not Verified | The cleanliness of Incheon Airport is very clear and the automatic immigration system is very good compared to that of other airports. The workers are also very friendly and have robots that match the names of high-tech airports. We will also look forward to the second passenger terminal, which will open in February.